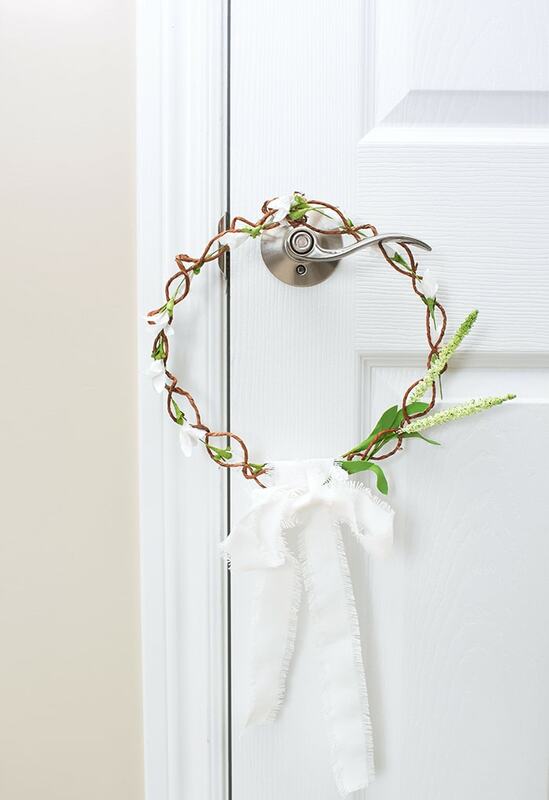 Make an elegant and simple door wreath to give any room in your home a beautiful farmhouse touch. Hi Everyone! 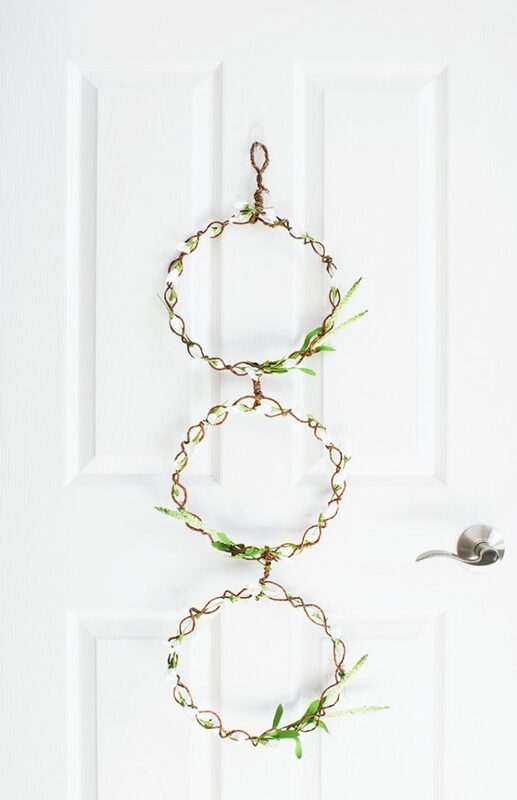 Today, I’m popping in from my blog A Pretty Fix to share how to make a simple door wreath for your farmhouse decor. But first, I have a confession. 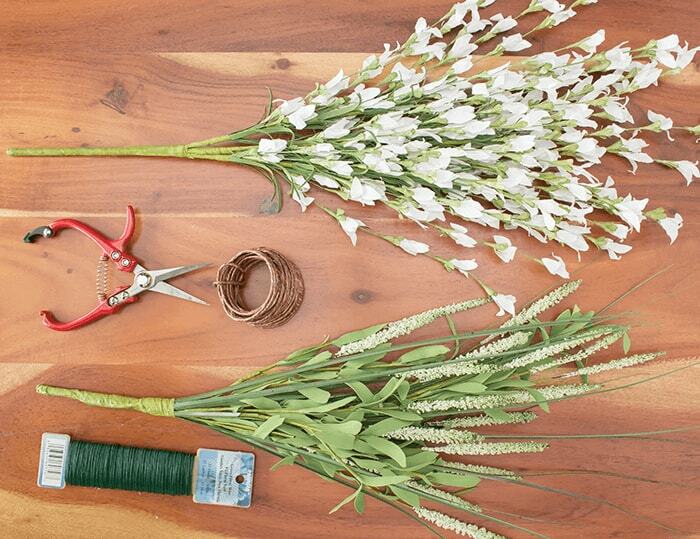 I’m in a bit of a wreath-ogling, wreath-making frenzy of late – but not of the usual kind. 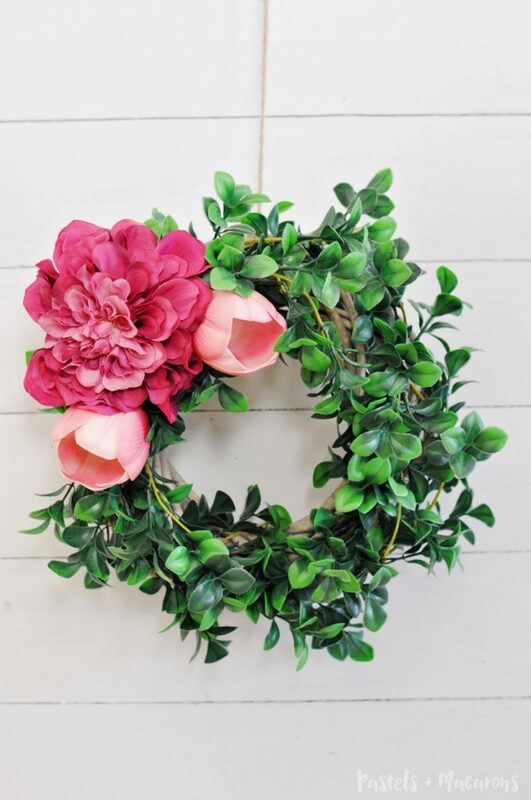 While I love traditional wreath forms, I am a big admirer of wreaths that are uncommon and a little less ordinary in both shape and texture. 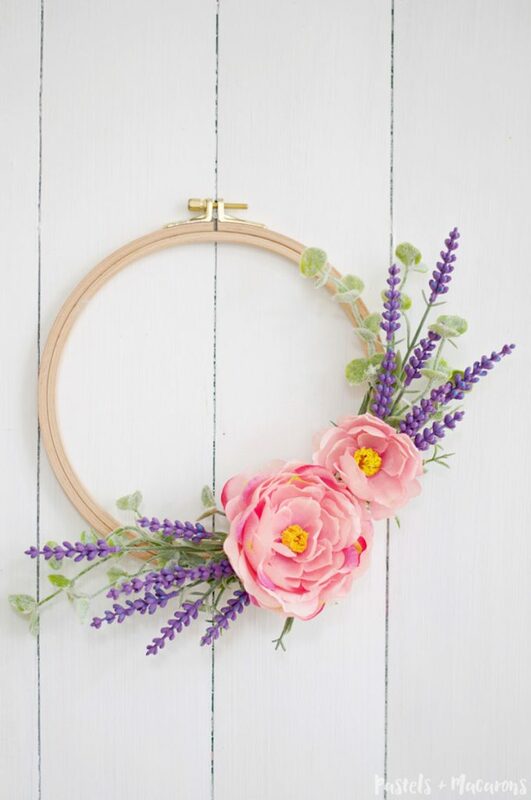 Among some of my favorites are my DIY Scandi-Inspired Blossom Branch , DIY Square Vintage-Inspired Market Wreath , DIY Yarn and Felt Wreath. 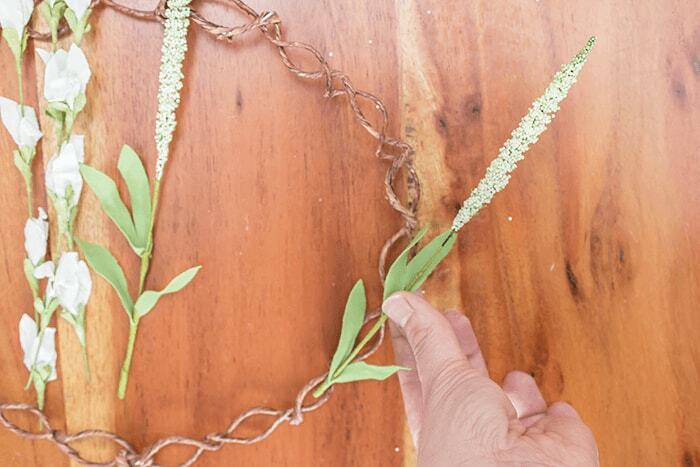 Today’s wreath tutorial is no different. 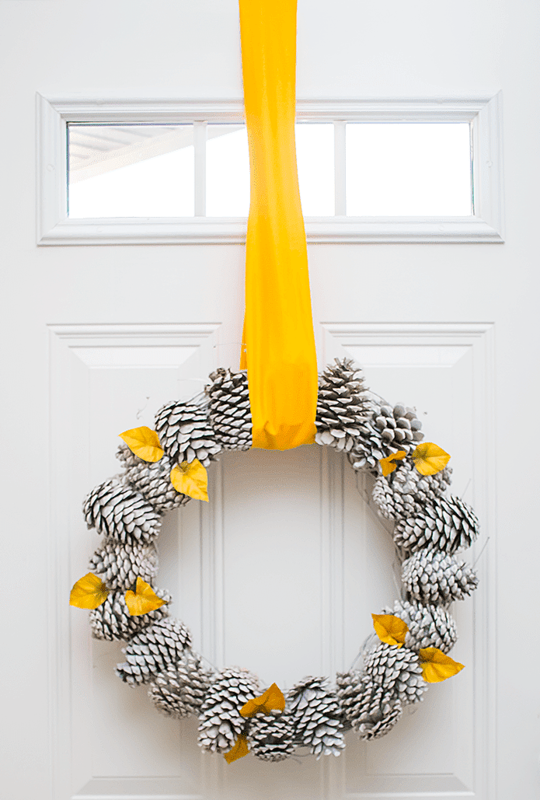 The impetus behind this wreath project started out as a practical endeavor. You see, I’ve had my eye on hanging something decorative on the tiniest sliver of wall space next to an even tinier bistro set located in our backyard walk-out. 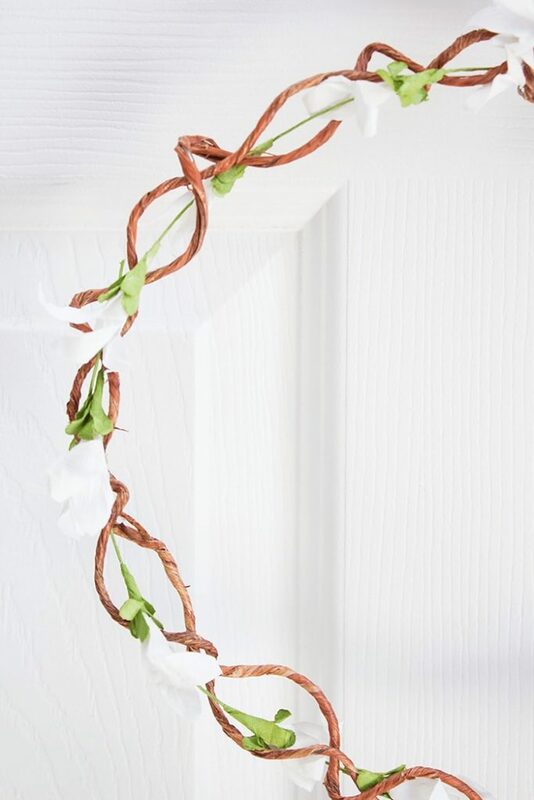 I’d already created the DIY Scandi-Inspired Blossom Branch mentioned above, but I wanted to change things up this year or possibly hang it on our front door where I’m constantly changing out my wreaths. But as is always the case when experimenting with wreath forms, I cannot always find what I imagine in my head! 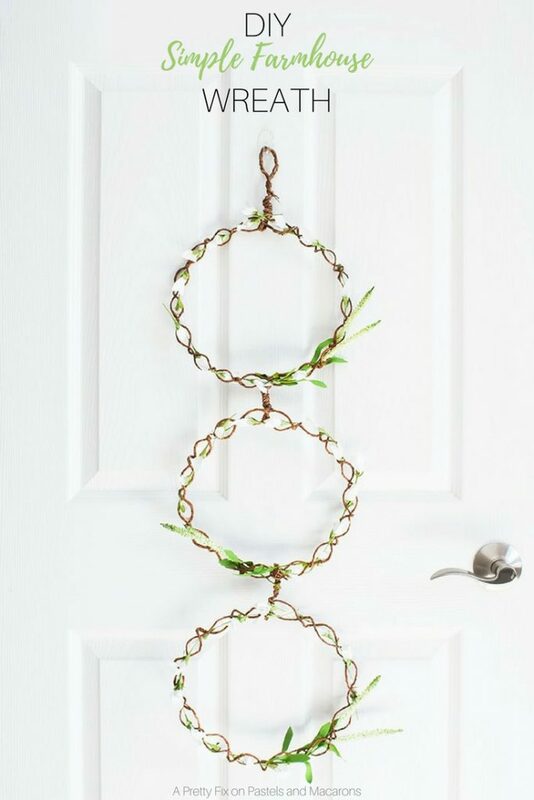 So, if you’re up for something a little different, then I’ll show you how you can create this door wreath in the easiest and simplest way. 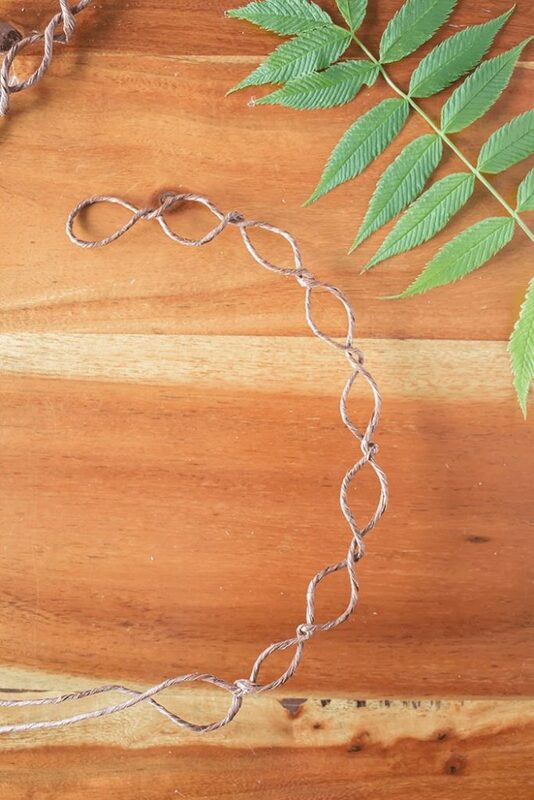 Clip off 1 strand of grapevine and fold in half. 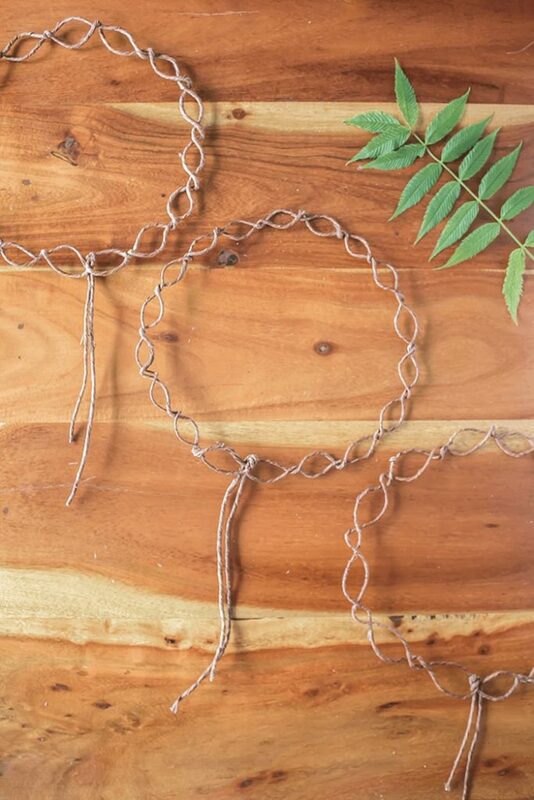 Tip: You will need approximately 3 times the length of (folded) grapevine available to create the circumference you require for your wreath. 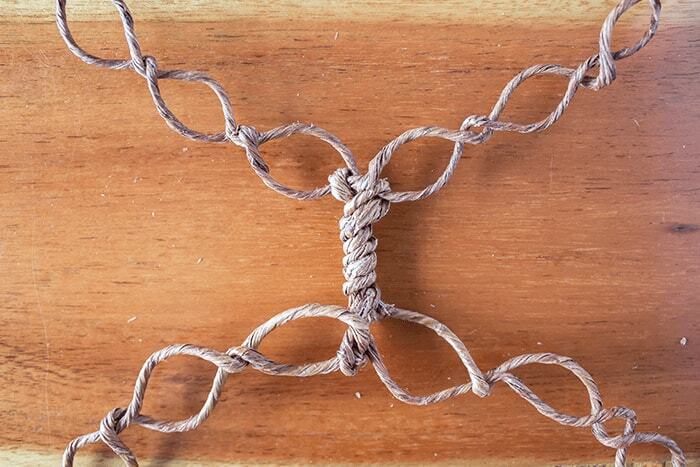 At the folded end of the grapevine, take the vine on the left and cross over the vine on the right. Repeat one more time to create a secure loop. Continue this process, creating loops along the way. 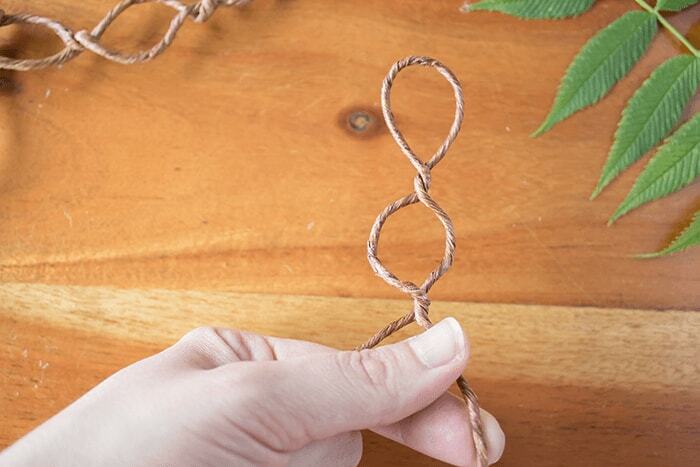 Make sure to bend the vine to create your ring. 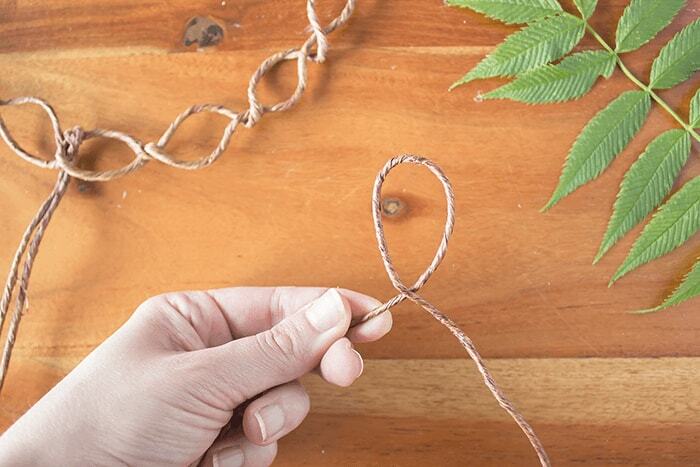 Once you reach the end, thread the 2 tail ends through the first loop. Bend the tail ends down in behind the head of the loop and then back up. 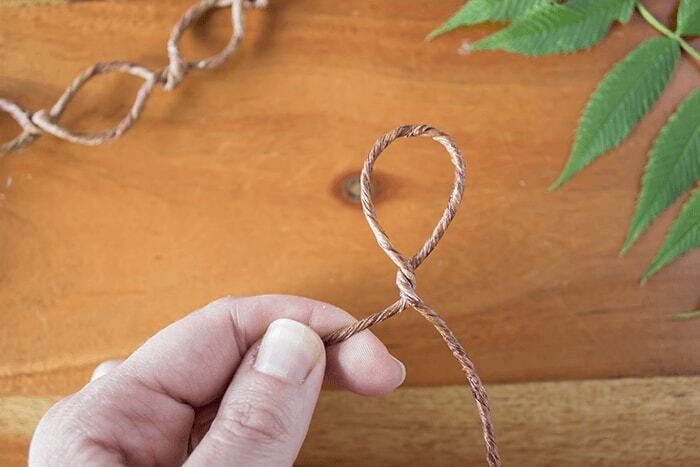 Repeat these steps to create two more rings. Using the tail ends of the grapevine, thread through the loops of the adjacent ring. Twist the grapevine around the ring and back towards first ring, twisting downwards. 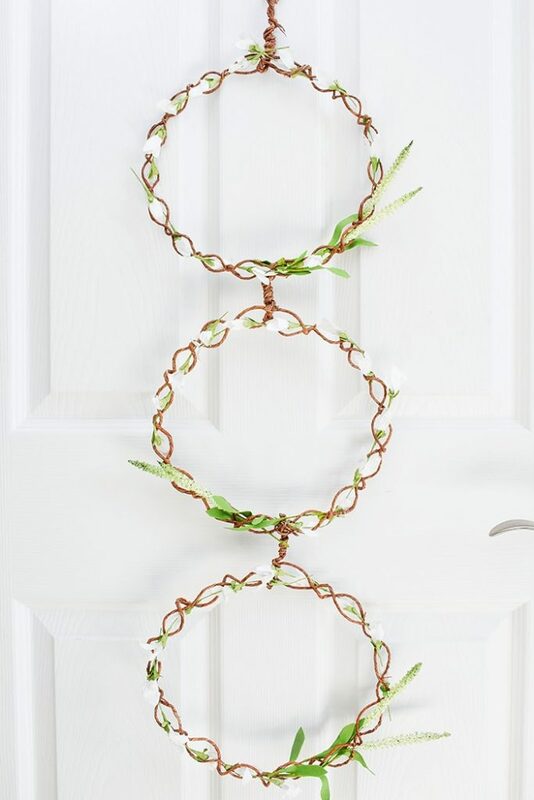 Now, it’s time to decorate your wreath form with florals of your choice. 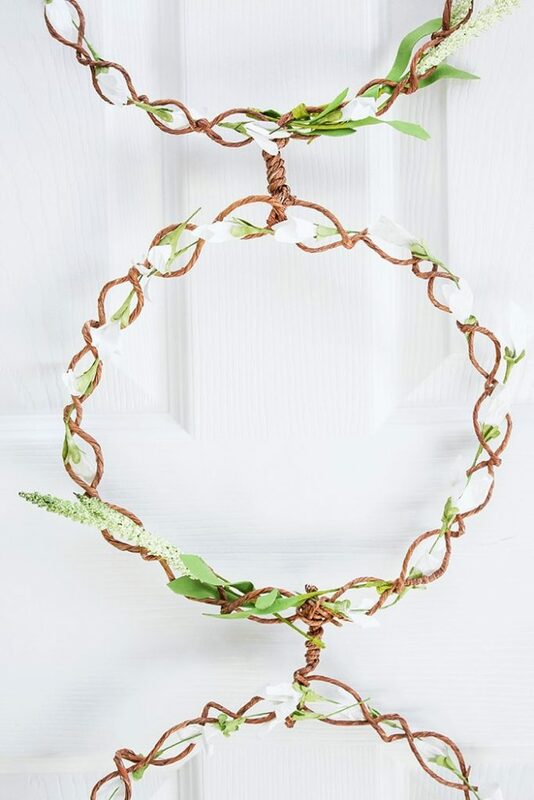 With a wreath form like this one, all you need are long florals that can be woven through the loops. 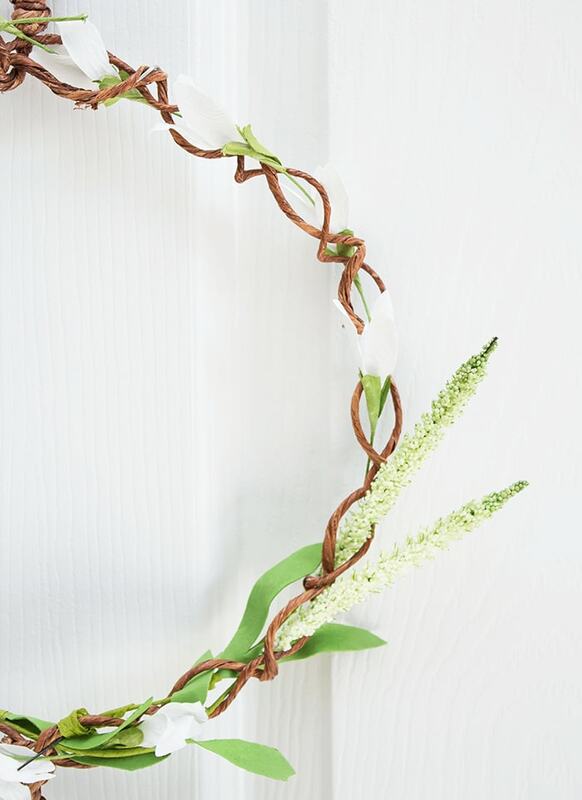 (If needed, you can always use floral wire to attach). 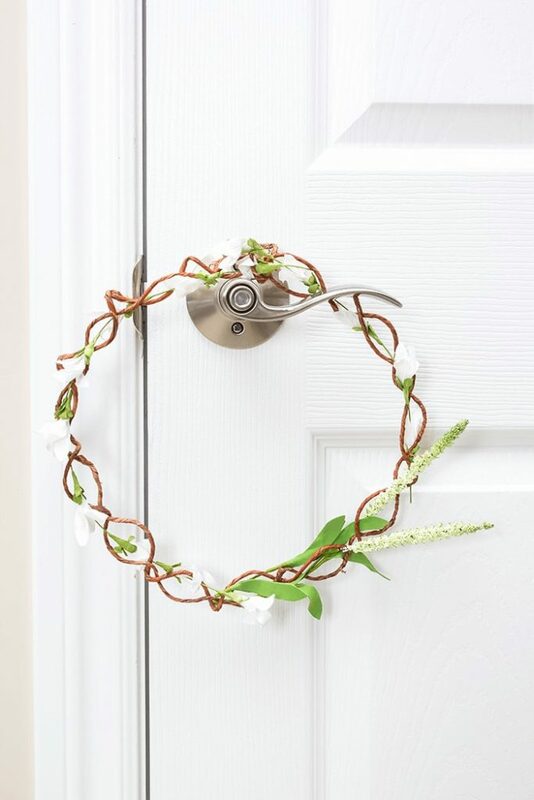 And remember, you can always separate the rings at any time to create a more traditional wreath. 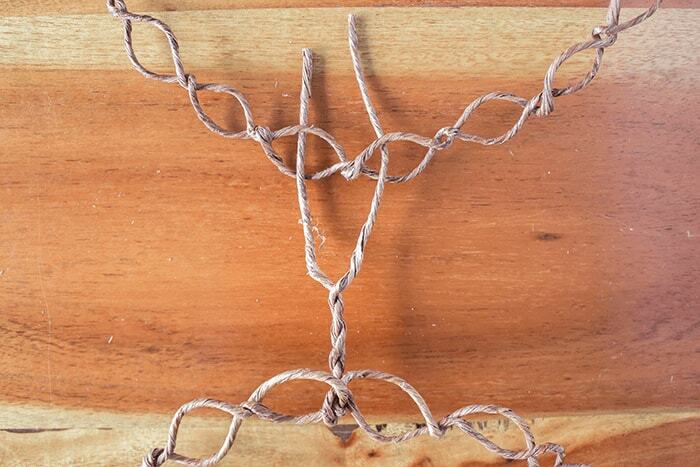 Just be careful unraveling the grapevine as it may come off the wire. 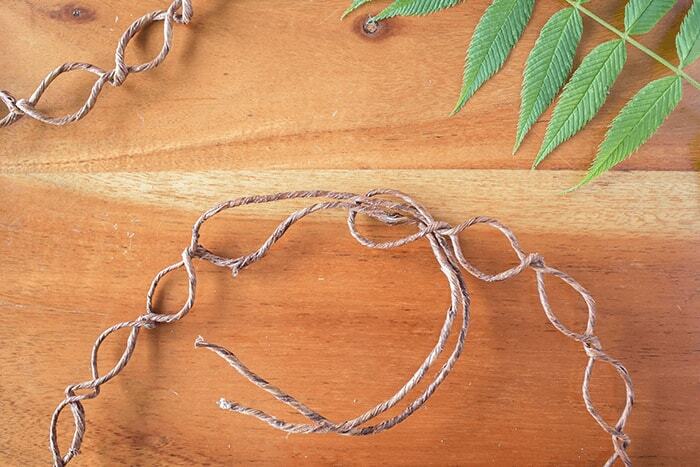 If this happens, simply cut the tail ends off and attach another vine so that you can reattach in future. 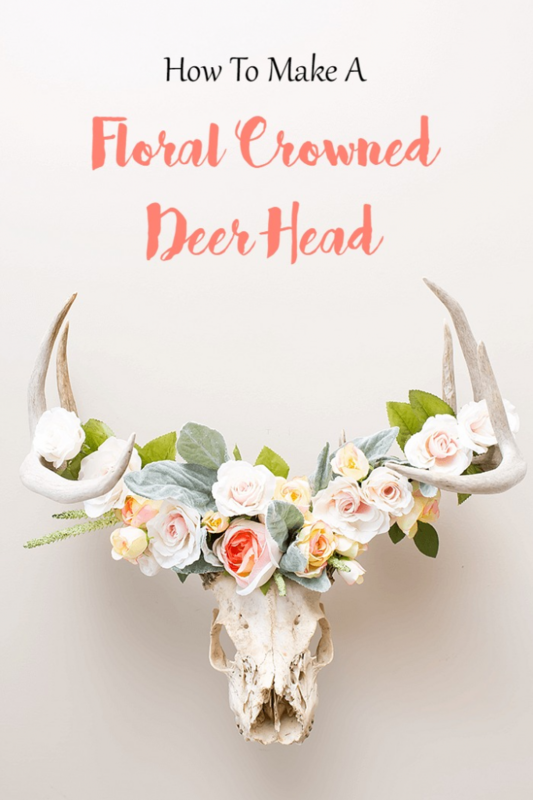 I hope this post helps you see that you don’t need to be limited by pre-made wreath forms for your DIY’s. Making your own from scratch is really this easy. 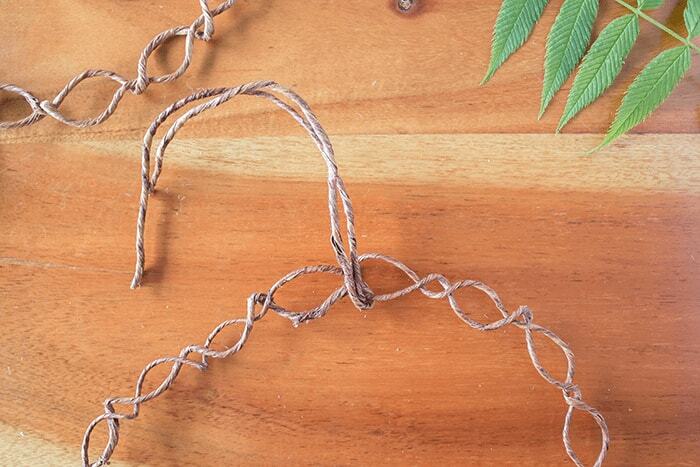 And with grapevine wire, there are so many possible shapes, sizes and styles to create. Love this post? Check out these!